Simha | Co-Founder & CEO – With experience building and managing global teams and the ability to build massively scalable infrastructure, Simha Sadasiva’s passion centers on creating elegant, AI-driven products that support completely frictionless communication for higher value relationships. 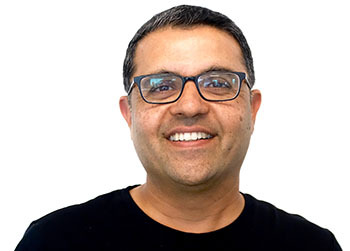 Prior to Ushur, Simha was the head of the Session Delivery Network Solutions Business Unit at Dialogic (formerly Veraz), and was part of the team that led the company through a successful IPO in 2007. Simha has held leadership roles at a number of technology companies including 3COM and Lucent Technologies.